This has to be one of my favorite things I've ever made and I found the recipe on my favorite recipe blog ever, Sally's Baking Addiction. If you have never checked out her site before, make sure you do so because there are hundreds of delicious recipes! 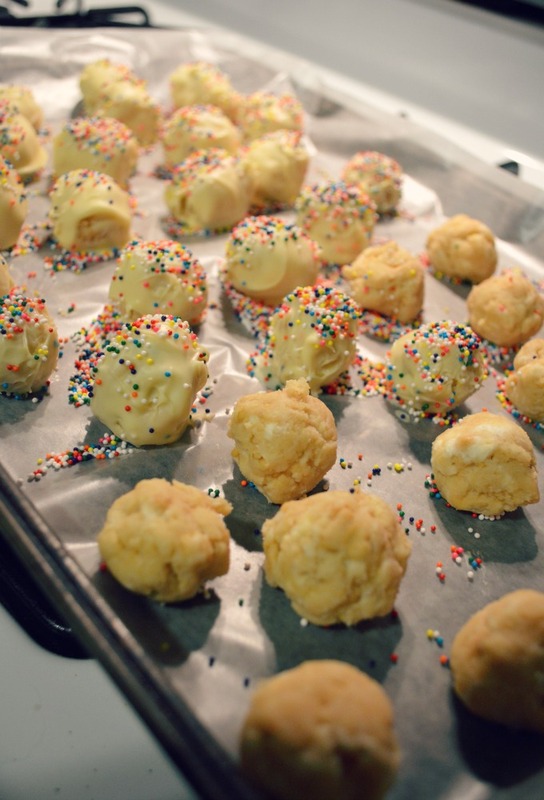 These are her no-bake golden oreo truffles. I made these for my family for our memorial day cookout and everybody loved them. One of the best things about this recipe is that it only calls for four ingredients! 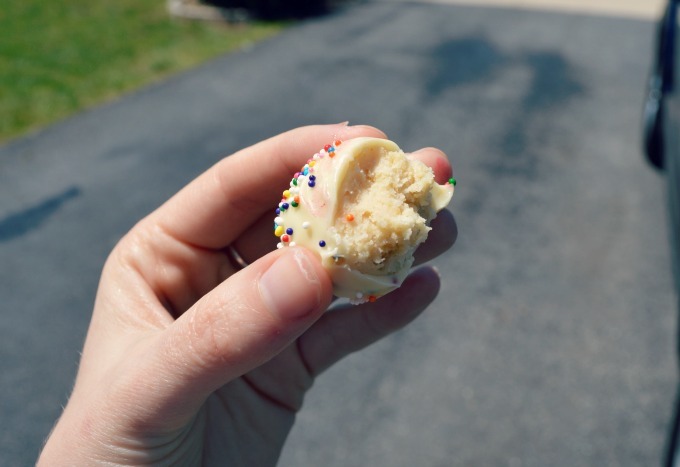 Cream cheese, golden oreos, white chocolate baking bars and sprinkles, that's it! They kind of have a cake-batter flavor essence to them which is perfect for summer. 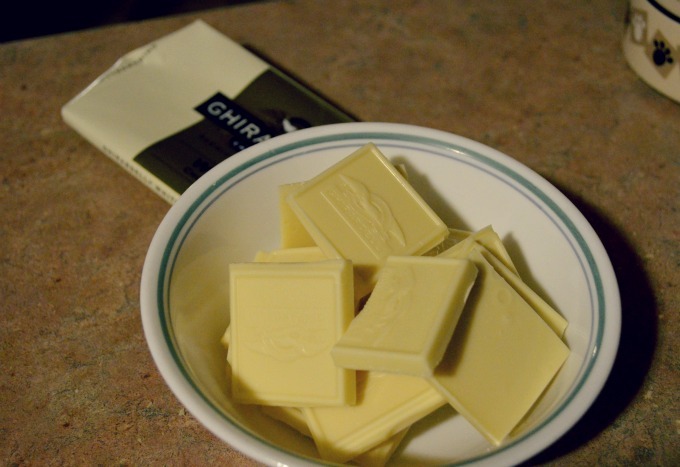 I loved how soft the inside of these are once you bite through the smooth white chocolate exterior. 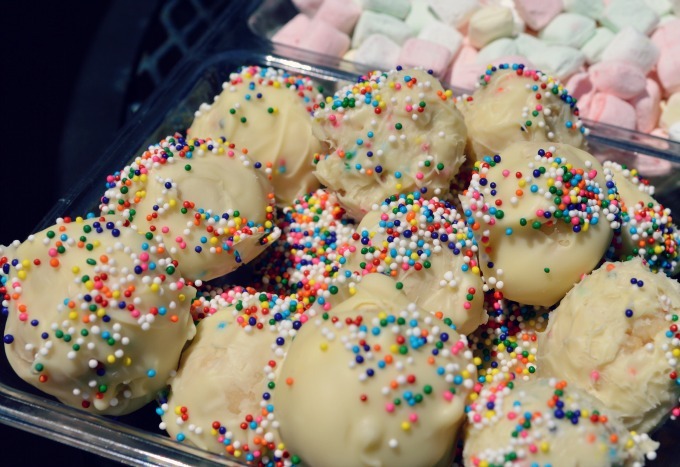 After writing about them I'm tempted to go make them once again! But seriously, you should try it out. Check out the recipe HERE. Please. Seriously. Try it. So I think that i have finally found a good system for posting on the blog. My plan is to do outfit posts Monday and Wednesdays, a weekly recipe on Thursdays and a fashion-related post on Fridays. Having a set idea fr weekly posting will make posting regularly a lot more easier. Do you guys post on specific days or sporadically? What works for you? My mother-in-law makes these, but with regular Oreo cookies. I've gotta try them with the golden ones. Yum! I typically post on M, W, F, but sometimes I mix it up. Having a schedule definitely helps me out! 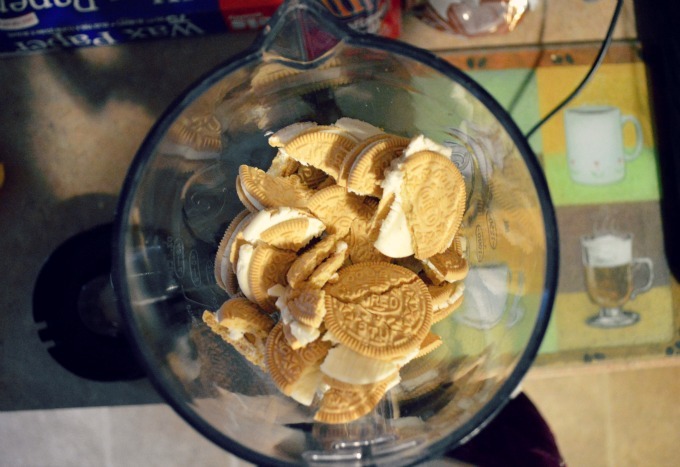 I made this once, but with the chocolate flavored oreos and it turned out delicious! Seriously!!! 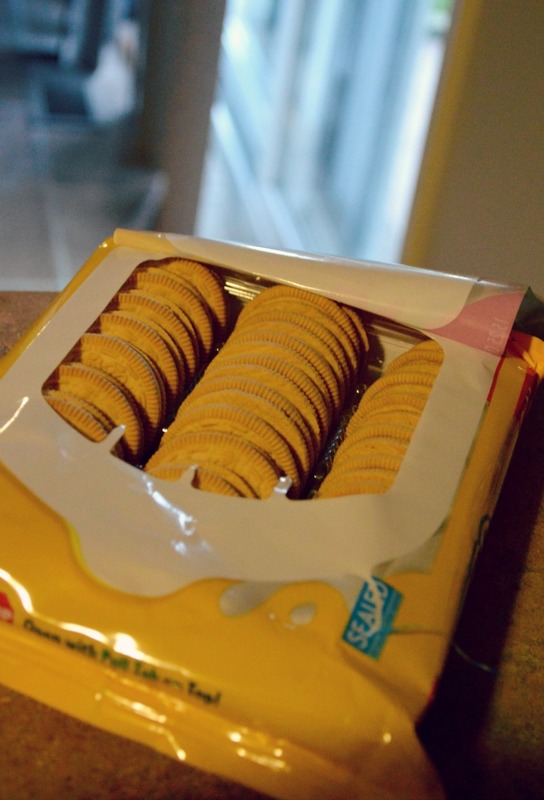 Okay so I totally LOVE golden oreos more than normal oreos and... golden oreo balls... dear god. That is a recipe for deliciousness. 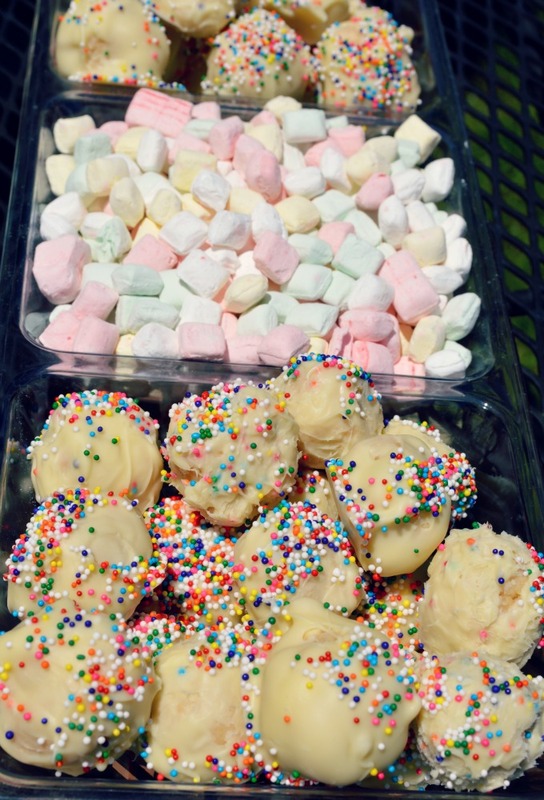 I've just gotta make these soon. Wow, these look absolutely unbelievably yum!!! Thanks for this wonderful recipe hun!I appreciate you stopping by..Happy Friday! Oh my goodness, that looks so amazing! I can't wait to try this. oh wow...talk about delicious!! This looks so yummy! Those look incredible. I almost feel like running to the store and buying oreos because I can practically smell them. Almost. I like your idea about having a set schedule for posting. I'm not quite there yet and my schedule is all over the place right now, but I think that helps sort out what to write about and when.